If these investment levels serve as "proxies" for how much business leaders care, or are concerned, about improving sales performance, it's safe to say that it's a "top of mind" issue. ... but sales reps are also spending less and less time actually selling. In fact, according to research from SiriusDecisions and HurixDigital, salespeople only spend 29% of their time selling! So one of the most pressing questions posed here is whether or not "Sales Enablement" itself is a paradox. Meaning, are the efforts that companies are making to improve their sales team's efficiency and productivity enough to meet the evolving demands of the modern buyer? The data would suggest those efforts are falling short. So why is that? TREND #1: "It's harder than ever to connect with prospects." EVIDENCE: Around 2007 it took, on average about 3.5 attemtps to connect with a prospect. Today, it takes nearly 8 attempts to connect with someone (Source). TREND #2: "Group decision-making is the new normal." EVIDENCE: The average B2B decision-making group includes 5.4 buyers (Source). 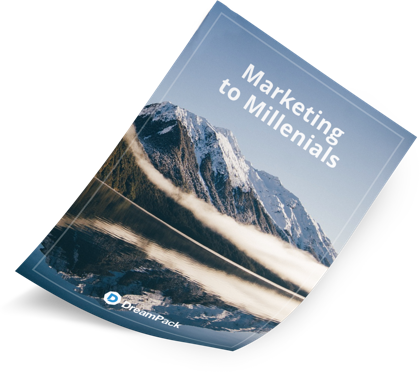 TREND #3: "Buyers are waiting longer and longer to engage during their purchasing process." EVIDENCE: Today, the buyers are completing as much as 60% of their purchase decision BEFORE ever engaging with a supplier (Source). That number is expected to climb to as high as 80% by 2020 (Source). TREND #4: "Buyers have access to too many information sources, and because they have that access, they believe the perfect solution MUST exist." 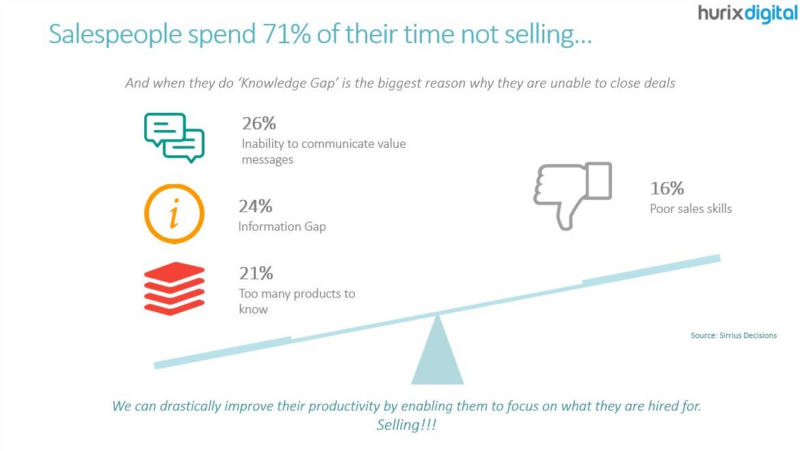 EVIDENCE: The average buyer consults around 10 information sources before ever engaging with a sales rep and 75% of buyers feel that they are ahead of their sales rep byt eh time the actually connect over the phone or in person (Source). TREND #5: "It's taking longer than ever to complete a sale." EVIDENCE: According to CEB Research, 84% of responsdents in a customer panel reported that their buying cycle was longer than expected, and the actual purchase length took 97% longer than initially expected. Despite this knowledge, most of which is widely known and relatively established in the sales and marketing world, many businesses continue to see poor ROI on their sales enablement efforts. This is true, in part, because of the sales trends above. It's also true because the approach businesses are taking to address these trends is insufficient. Lastly, as I'll explain here, there's poor ROI on these investments because Sales Enablement itself is often mis-scoped and poorly defined... at best. 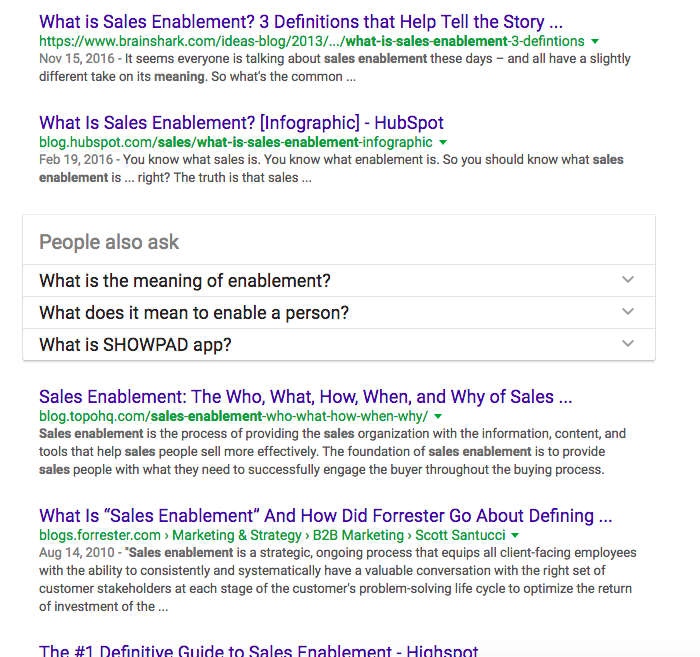 PROBLEM #1 (Solution): Sales Enablement does not equal Content Marketing, CRM, Marketing Automation, or Sales Coaching/ Training. Many business I've spoken with conflate these concepts, and together, believe that they add up to Sales Enablement. Instead, Sales Enablement should be viewed as the glue that binds all of these areas -- and more -- together. It should serve as a business function that evaluates at the entire revenue generation process, understands the development and deployment of organizational knowledge, and assesses the adoption, function, and integration of supporting technology. PROBLEM #2 (Scope): Sales Enablement is not just about the seller, despite the fact that the term "Sales Enablement" would suggest otherwise. 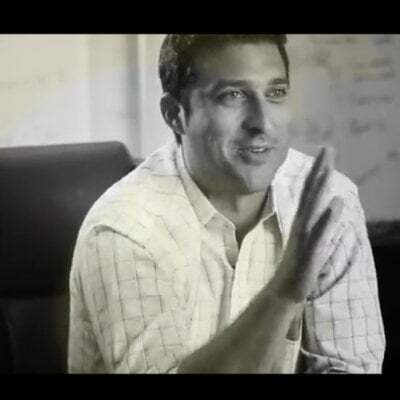 Instead, it's about the buyer, the seller, and the entire network of people that influence the decisions they make -- as well as the actions they ultimately take -- to ultimately get to a sales outcome. PROBLEM #3 (Application): Sales Enablement is not a "once every few months" activity. 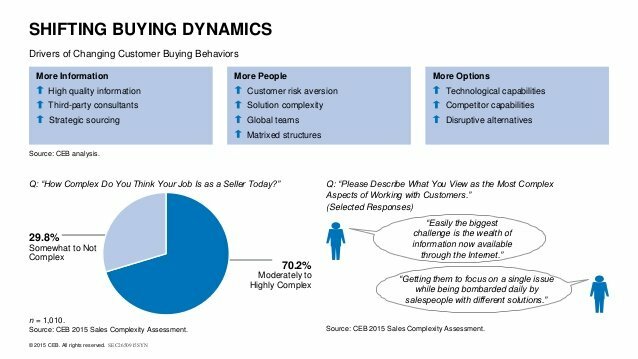 Another area where I see weakness lies in the way in which businesses go about "doing" sales enablement. Often, this shows up in the form of competitor battlecards, product value props, demo training, sales email templates or call scripts, etc. So the team responsible for developing these assets (sometimes marketing, sometimes sales, sometimes even a sales enablement function if a company has dedicated that much time and effort to it) intakes all knowledge in these areas, typically gets some feedback from reps and marketers on whether or not these are the right areas to work on, they do the research, build the assets, and make them available to reps and others within the organization. However, because market conditions, buyers, the sales organization, and the company itself are constantly changing, this process is inherently flawed and insufficient to continuously deploy the best of the best knowledge in a wide array of areas to the entire organization. PROBLEM #4 (Adoption): Sales Enablement is not a linear process; it does not start and stop ... it does not have a beginning and an end. You cannot "certify" someone in being "enabled". You can check to determine if they have acquired the requisite knowledge, but by the time that knowledge has been internalized to the point where they are able to teach a prospect about it, the market may have changed or the prospect may have already moved on. With the proliferation of content creation and reliance on search, it is literally impossible to know whether or not a rep will be able to deal with every single situation he or she faces. In my opinion, there needs to be a tighter and far more actionable definition created to help the market work towards Sales Enablement. It is in fact a valuable end in itself since it is desgined, among many things, to accelerate sales and improve the buyer experience. And it is only through creating this "meta" definition that we can all work towards the right solution. "Any action, activity, or information that improves or accelerates the sales process for either the buyer or the seller." The key question that now needs answering... "What are those ACTIONS, ACTIVITIES, and PIECES OF INFORMATION contained within the definition?"